Like all productions in the pre-digital era, the commercial was shot on film. The preferred chroma key color for film was blue, since the blue emulsion layer of film held the best detail. The Chiodo Brothers blue screen stages were painted with a special paint that provided the richest blue possible, and lit with banks of fluorescent lights for even illumination. To achieve a match in perspective and lighting of the stop-motion puppet with the previously filmed background, a clip of that film was placed in the gate of the Mitchell animation camera for viewing, allowing a precise lineup. 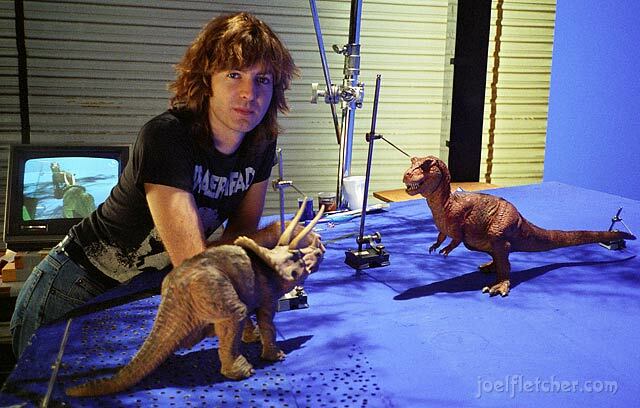 The animation was supervised by Stephen Chiodo, who gave me direction on what was expected for the saber-tooth performance. Basically I needed to animate the saber-tooth falling from a tree, hit the ground, roar, then chase a family of cavemen around in a circle several times. 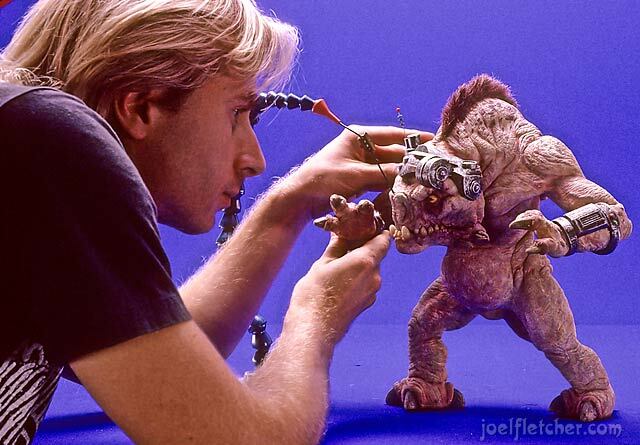 The saber-tooth puppet was superbly constructed, and inspiring to animate. Incidentally, the cavemen were actually actors wearing suits with animatronic heads, created by the Jim Henson company, who also performed on a blue screen. When the animation was completed, all the compositing was performed by a high-end post production facility, as that kind of specialized equipment was very expensive in those days. The motion of the saber-tooth and the cavemen was also sped up in post for a more comedic effect. My animation had realistic timing originally, but speeding it up fit the wacky concept of the commercial. Flashing forward to the current time, chroma key is an even more powerful procedure with modern digital cameras and compositing software. Green is now the color of choice, since the green channel in digital cameras contains the least amount of noise, providing the cleanest separation. Lining up the subject with the background image is much easier now that the two images can be viewed together on the computer, even allowing close interaction if needed. Expensive post production facilities are no longer required; compositing can be done on the computer with readily available software with greater control and accuracy than ever before. Also, realistic motion blur can be added to stop-motion animation in post, with software such as ReelSmart Motion Blur. 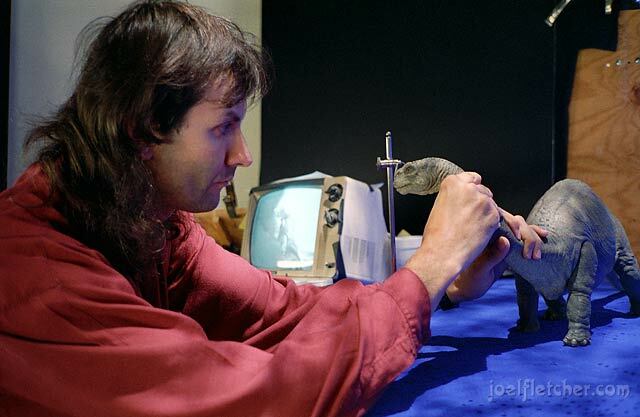 Currently stop-motion/live action films are considered obsolete, marginalized by the more "realistic" computer animation. However, the use of stop-motion with chroma key compositing and added motion blur is a winning combination, and is a great alternative to the commonplace look of computer generated effects.